The Haluan Dance team was one of the multiple performances at last Saturday’s festival. Photo by Megan Schnabel. Students socialized and enjoyed free food, gifts and games courtesy of campus organizations. Photo by Megan Schnabel. 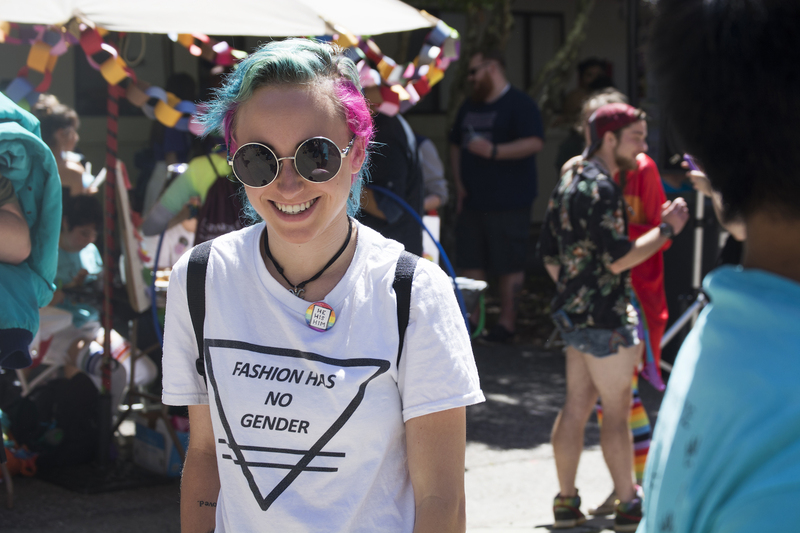 Last Saturday, Kresge Lower Street filled with people celebrating LGBTQ+ pride at Kresge’s 11th annual Pride Festival. Photo by Megan Schnabel. 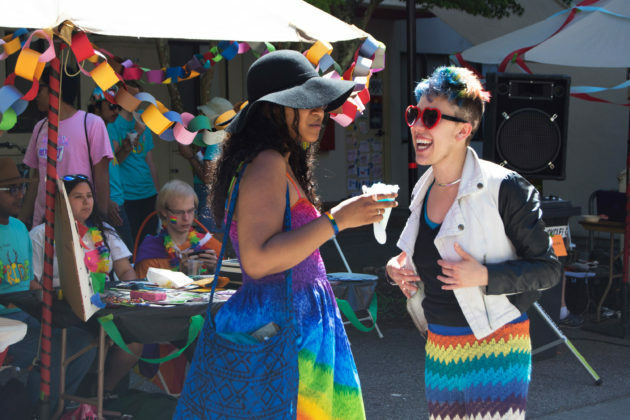 Cupcakes, colorful flags and the clear directions “gay ahead” in bright blue chalk led the Kresge PRIDE march into Kresge College for its 11th annual celebration. The Kresge Multicultural Education Committee (KMEC) is a student-run organization that has put on PRIDE for the last decade. Sam Cardenas, KMEC external vice chair, described the long process of putting on not only KMEC’s largest event but one of the largest LGBTQ+ events on campus. 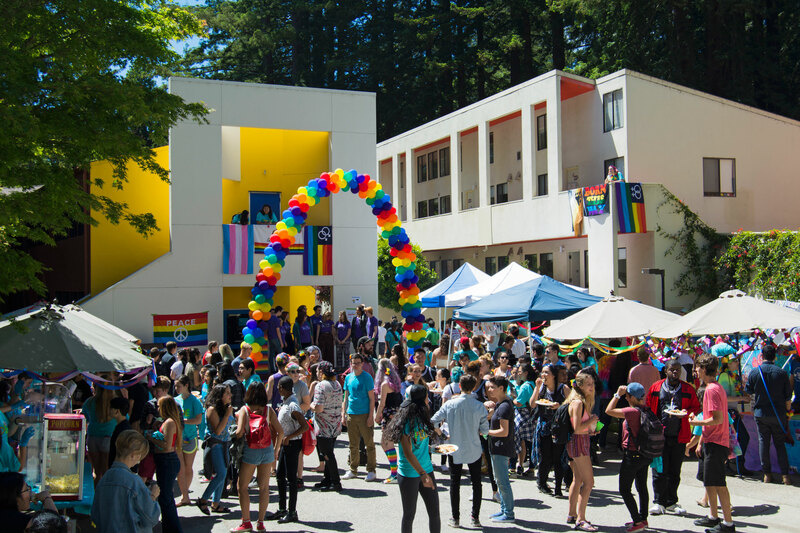 Kresge PRIDE is an event to celebrate diversity and create a safe and empowering space for the LGBTQ+ community on campus. Cardenas said PRIDE is important for students who may come from backgrounds or homes that are not as accepting. 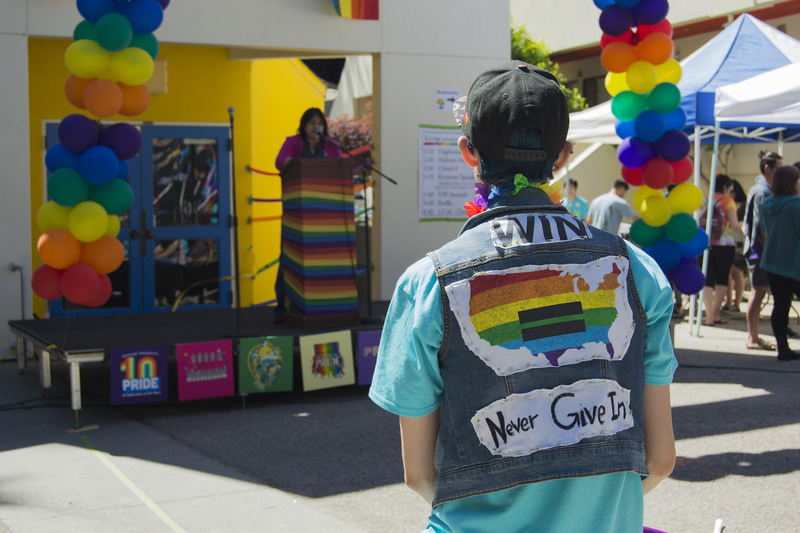 A student displays a message of equality on their vest while listening to keynote speaker Shankari Patel. Photo by Megan Schnabel. Cardenas also shared KMEC’s hopes to continue growing campus membership and involvement in the PRIDE celebration and to keep the voices of the community heard. The campus-wide march began in Quarry Plaza at 12 p.m., with stops at each college to collect free candy, cookies, leis and t-shirts. Students and college-affiliated pride flags joined the march at the stops, which ended at Kresge College with a three-hour festival. 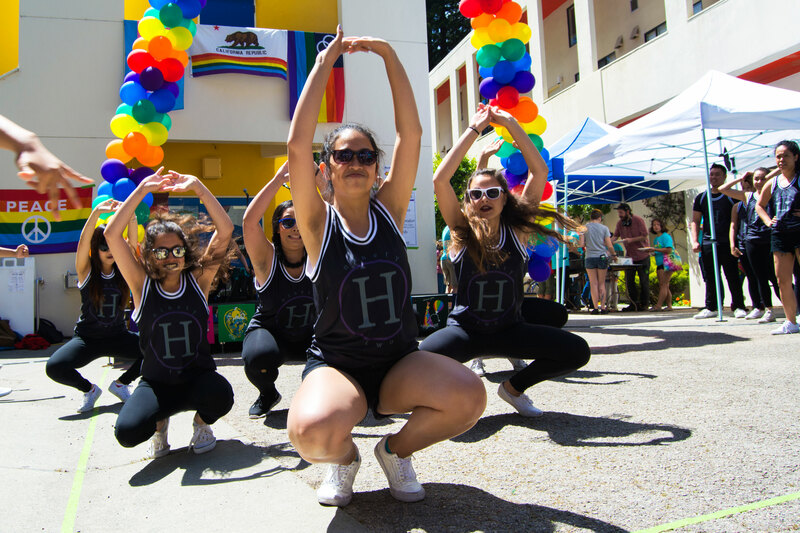 The festival featured multiple tables of LGBTQ+ information, trivia, activities, free food and performances by the High Tones, Cloud 9 and the Haluan Dance group. Shankari Patel, UCSC Latin American and Latino studies professor, was the keynote speaker and addressed the struggles she faced as a woman of color in the LGBTQ+ community. 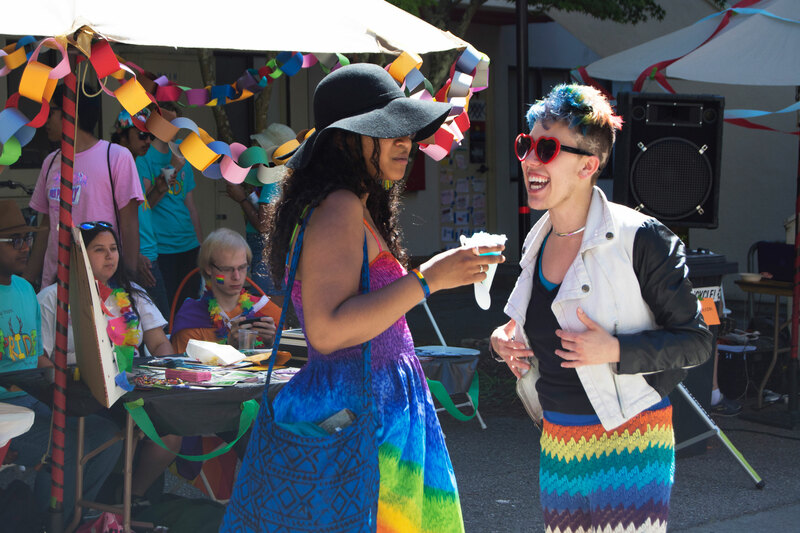 In between the speakers and performances, hundreds of people wandered about, spreading the love, showing off their pride and enjoying free shaved ice.